A nurse-led scheme which allows leukaemia patients to undergo chemotherapy in their own homes has been credited with boosting quality of life. The South Tees Hospitals NHS Foundation Trust service means patients or their relatives can administer the injections themselves, cutting down on hospital visits. Prior to the scheme, older patients with acute myeloid leukaemia had to visit hospital twice a day for 10 consecutive days to receive the chemotherapy drug Cytarabine. This was repeated every 4-6 weeks for 4 courses or more, meaning patients needed 80 or more hospital appointments. The gruelling demands of the treatment led some older patients to refuse it, the trust has said. Haematology outreach nurse specialist Helen Walker, Macmillan nurse chemotherapy consultant Wendy Anderson and consultant haematologist Dianne Plews developed the service to teach patients and relatives to adminster the drug in their own homes. Haematology nurse specialist Jennifer Lawn said patients in rural areas such as Osmotherley in north Yorkshire have praised the scheme because they avoid daily journeys to James Cook University Hospital in Middlesbrough. Relatives have also said the scheme prolonged their loved ones’ lives. 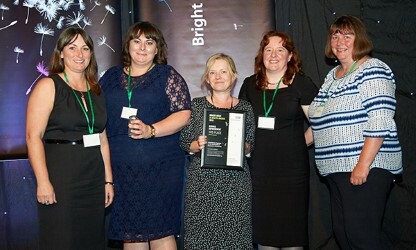 The scheme won third prize in the service improvement category at the recent Bright Ideas in Health Awards, run by NHS Innovations North.